In the past 11 years I’ve come across many customers who’ve experienced problems loading sounds into their MPCs. Sometimes the solution is immediately obvious, such as trying to load 24 bit files into an MPC1000 (solution: convert to 16 bit) or difficulties loading MPC SND files into an MPC5000 (solution: update OS as early MPC5000 OS could not read SND files). Do the jj os systems (up to vrsn.3.15 or whatever it was) not jjos xl versions, do the jj os 3.15’s and 2.8’s etc etc jj os versions read original compact flash cards saved usiing the original mpc 1000 os? Thanks. Firstly, are you saving each project to its own unique folder? That’s essential otherwise you risk mixing your sequence data across projects. The other thing to check is the card itself, it might be corrupt. Try a different card to see if it helps. 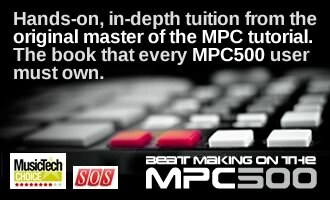 3.10 is the current version of the MPC2500 free JJOS, so you’re fine there. I work mainly on a MPC 3000 for its swing and sound and save everything on a CF (external SCSI to CF). When i load the CF on the Mac, it reads all the partitions and the content inside. Until then, all works fine. But then, i mount the 2500 via USB to drop these contents on the CF and i have a “wrong file” error message when i load back the PGM or SEQ. It can read the .SND format, but cannot recreate the PGM and nether the SEQ. I believe you need to save the SEQ as a standard MIDI file in the MPC3000. 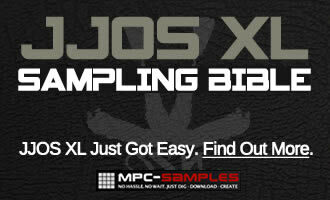 As for the PGM file, it is possible that JJOSXL does not support MPC3000 programs. I know that the free JJOS has issues in that respect (it wont even recognise MPC3000 SND format). If that is the case you will need to convert the MPC3000 programs into a newer MPC format – as you have the Ren, load up the 3000 PGMs into the MPC Software and export them in MPC1000 format. Hi there! Just but an mpc 2500 online and an akai mpc professional compact flash card (8 gigabytes). I am currently trying to download JJOS onto my flash card via the mpc, but every time I boot up with the memory card inside, the device crashes. I’ve tried inserting the card after the device is on, but as soon as I try to enter the load or save screens, the device crashes. Any ideas on how to resolve this issue? Try a different card, or reformat the existing one. Otherwise it could be a faulty CF drive. Just purchased a mpc3000, I was previously using a 2000xl. The 2000xl files on the external scsi zip do not load on the 3000. I formatted a blank disk on the 3000 just to make sure the drive works fine. How can I get these sounds into my 3000 ? Hey there! First of all thx for all the useful information on mpcs. I have an mpc 1000 running on jjos2xl. i bought it used and it apparently has an integrated hard drive. however, the hard drive was never shown in the save or load options. so, i always used memory cards. Now I have the following problem: in the load option my mpc is saying that my cards were empty. When i try to make a new folder in the save option it says “system error !!”. Any help on how i can fix my mpc? i need to be able to save and load stuff somehow. Whether on the hard drive or the sd cards i don’t care. Thx! I have a mpc2500, I have a couple issues… first, anytime I insert the card the whole screen goes blank. Second, when I load sounds from the hard drive to the param and program screen, there is no sound, but I can hear my sounds in the banks when loading and editing… any idea what it could be?